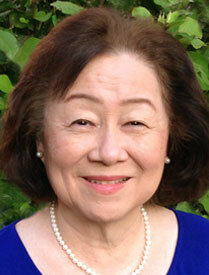 Carole Teshima, University of Hawaii System human resources specialist, has worked in the Office of Human Resources for more than 40 years. Her knowledge of human resource policies and procedures has served as a resource to many generations of state and university administrations. She is often called upon to advise the UH administration on historical and current areas of position control, Board of Regents policy and university procedure on human resources issues and collective bargaining salary adjustments. Teshima works tirelessly to complete projects that assist human resources representatives systemwide, responds to ad hoc requests from university and state officials and assists various departments with specific problems or questions. Teshima is described by her colleagues as the “go-to person with a can-do attitude.” She is always first to offer her assistance and she refuses to back down from difficult problems. Teshima’s exemplary service, positive attitude and willingness to always go above and beyond earned her the respect and admiration of those who work with her.